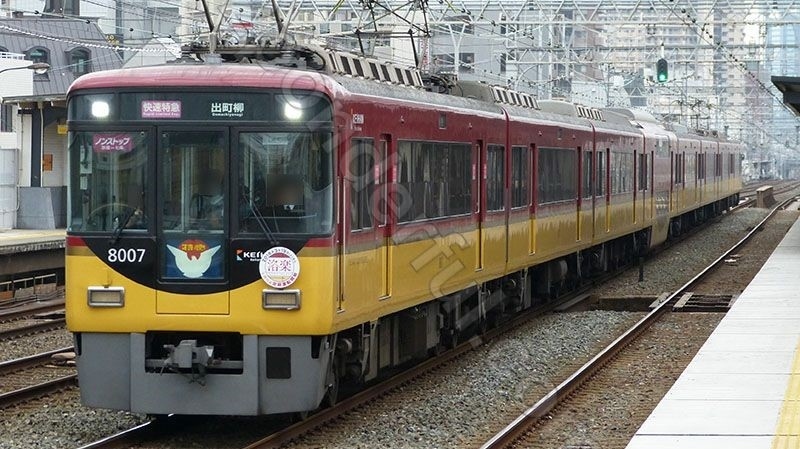 The comfortable Keihan train has started a Saturday and Sunday rakuraku (fun, fun!) service that runs non-stop between Kyobashi, Osaka and Shichijo in Kyoto in 35 minutes. The train then stops at Gion-shijo, Sanjo and Demachiyanagi. Aside from the speed, a surprising additional benefit is that you are likely to get a seat. We observed plenty of available seats when getting on at Kyobashi station – the express trains that also stop at Hirakata and Kuzuha tend to be very crowded. Saturday and Sunday from Kyobashi 09:07, 09:37, 10:07, 10:37 and 11:07. Returning from Demachiyanagi 16:02 (Sanjo 16:05, Gion-shijo 16:07, Shichijo 16:10), 16:32, 17:05, 17:32 and 18:02. Unfortunately, the rakuraku train does not run in the morning from Kyoto to Osaka or in the evening from Osaka to Kyoto.